Do you need a Germany virtual number? Whether your company is located in Germany or serves customers residing there, ordering a Germany phone number could be advantageous. Why choose a Germany phone number when you could simply publish your company's main phone number? If your company is located outside of Germany, publishing your main phone number immediately puts an obstacle in front of your German callers: international dialing. They may be put off by the fact that you're not a local company; they may worry about how much the call will cost; or they might not even know how to dial an international number without operator assistance. Any of these concerns could prompt consumers to not call your business. With a Germany virtual number , your German customers won't go through these thought processes which potentially lead to them calling a local competitor instead of your business. If you have a physical office inside or outside of Germany, you can use a Germany Phone Number to target specific cities, track advertising, or even set up a virtual PBX system for your small business. Call quality is crucial - Choose an international virtual phone number service that uses the public switched telephone network to ensure the best connections possible. Time of day routing is smart - If your company is in a different time zone than Germany, being able to route callers according to local German time ensures a professional response during business hours. Customer service planning is a must - Callers dialing your Germany virtual number will likely expect their calls to be answered by a customer service representative who is fluent in German. Make sure to configure the routing so that German callers are routed to your CSRs that speak German. When you order a Germany phone number, you are getting much more than a phone number that rings to a designated phone line. You are getting an international call forwarding sales tool that can allow your business to serve customers in Germany. Fax forwarding - Your Germany virtual number can serve as a fax line as well as a phone line. With this option enabled, faxes arrive in your email inbox. 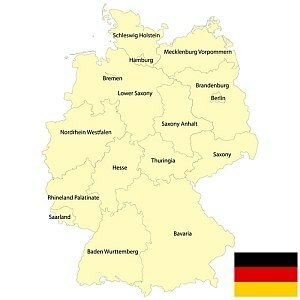 Local ring tones - Local ring tones allow German callers to hear familiar ringing sounds when dialing your number. Online account management tools - If you need to reconfigure your Germany virtual number or call forwarding account, online tools allow you to do so 24/7. Simultaneous call processing - Never miss a call with this feature. Have your calls ring up to 10 phones concurrently. Custom greetings - Record a custom greeting in German. Voicemail forwarding - Receive voice messages in your email account. Use the included 'do not disturb' option to collect messages for later retrieval. Activation is easy and affordable with low rates and month-to-month plans for a Germany phone number. Buying a Virtual Number Germany is easy. 2 Select the Virtual Number Germany type of number you want from the drop down list. Although Germany has an advanced telecom sector, none of the Germany telephone companies permit call forwarding beyond the Germany border. This means if you own or want to own a Germany phone number and choose to have the Germany calls divert to another country, you cannot do so using the Germany telephone company phone numbers. Our service provides a solution to the international call forwarding requirement from Germany and assists you to buy and own a Germany phone number with global call forwarding capabilities. Meanwhile, once the call is placed, it is forwarded to any fixed phone, mobile, PBX, Fax number in the world such as your main office in the United States, UK, Australia, Russia or any country you desire.